This is the process for notifying our members that a recording of a coaching call or webinar is available to watch in the members website. Sharing the recordings of the coaching calls will encourage our members to stay engaged in our program. 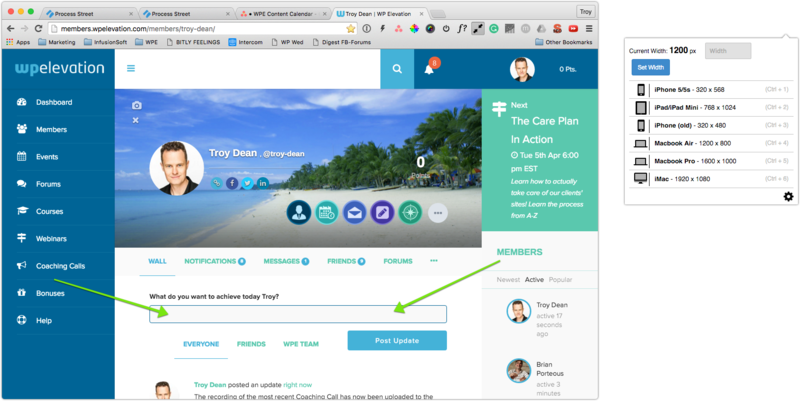 We use a combination of email, notifications in the members website (using Intercom) and announcements in our private Facebook group. NB: if you are sharing the recordings of the coaching calls run by the three coaches, make sure you have added all three calls to the members website before following this process. If you do not have access to these resources, please contact Troy or Gin to request access. 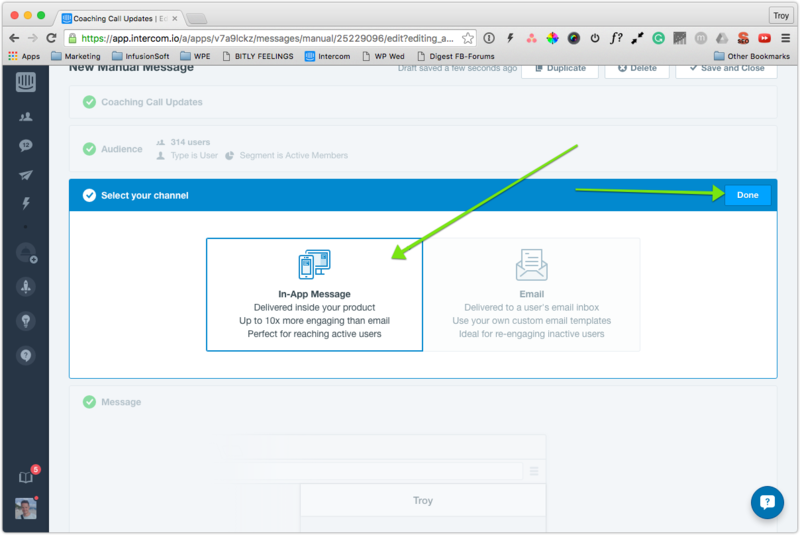 An email reminder will automatically be sent to each member who was registered for the webinar or coaching call whether they attended the call or not. 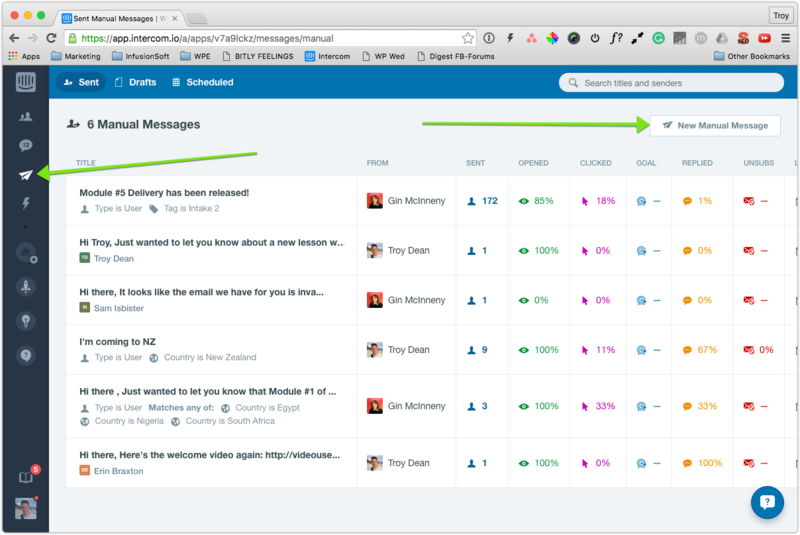 This happens automatically from Infusionsoft and there is nothing you need to do here. 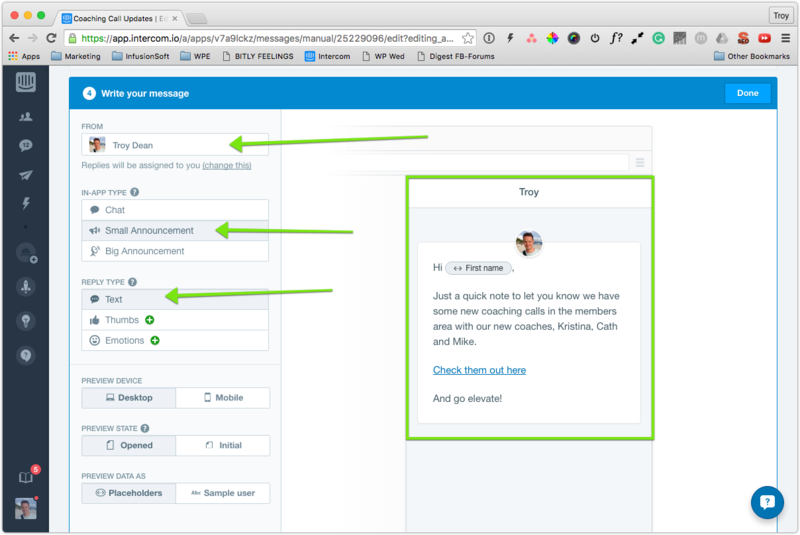 Intercom allows us to send a message to our members from within the members website. 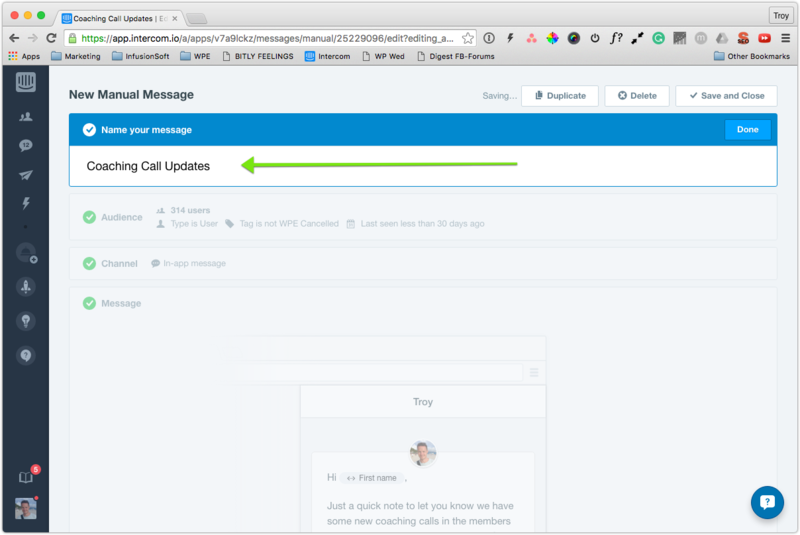 Give your message a meaningful title such as Coaching Call Updates May 2016 and then click the Done button to move to the next section. 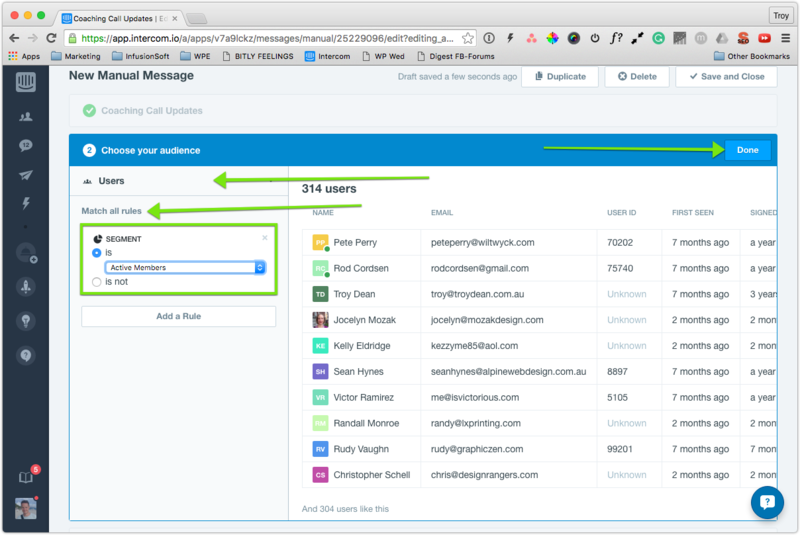 Define the audience that will see this message by choosing Users and then in the rules section choose Segment is Active Members. Then click the Done button. Choose In-App Message is the type of message you wish to send. Choose Troy or Gin as the sender of the message, Small Announcement as the type of message and Text as the reply type. 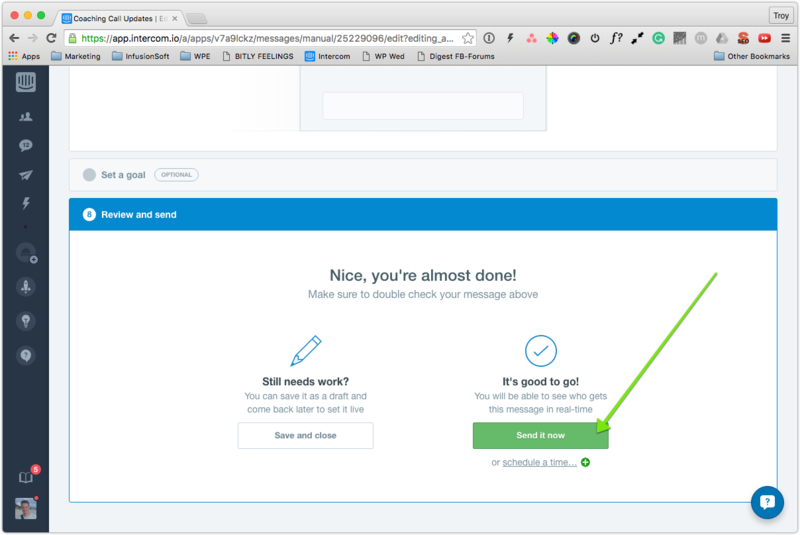 Write your message in the message editor on the right-hand side of the screen. So this screenshot below for example. Today's Coaching Call with Troy has been uploaded to the members' site. It's full of gold nuggets and is ready and waiting for you. Just a quick note to let you know that we have some new coaching calls uploaded with our WPE coaches Kristina, Cath and Mike. This week's Coaching Call with [INSERT coach's name] has now been uploaded to the members' site. This week's webinar with Master Elevator Troy Dean has been uploaded to the site. In case you missed it, this week’s webinar has been uploaded to the website. Tune into our special webinar with guest presenter [GUEST NAME HERE]. Once you are happy with your message click the green button to send it into the members website. 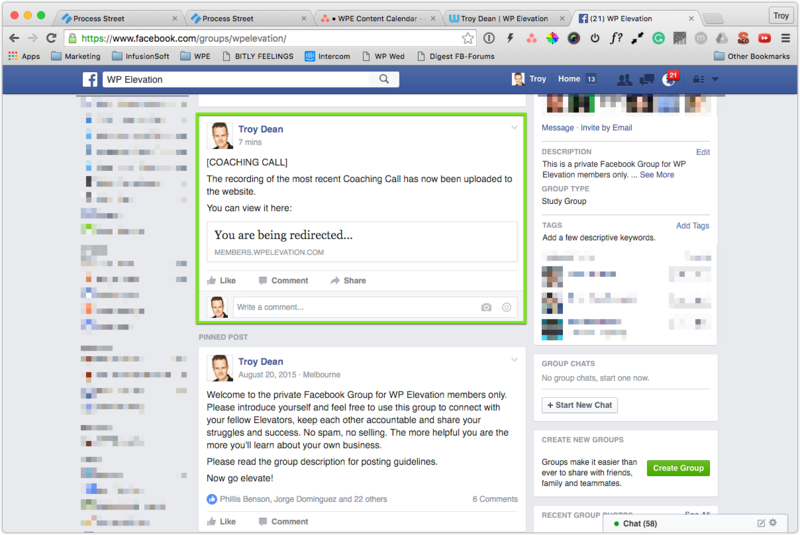 Post a reminder in our private Facebook group and on the wall in the members website that the coaching call recording is available to watch. Good news! This week’s webinar has been uploaded to the website. An example of the message posted in the Facebook group. This is where to post the message in the members website. 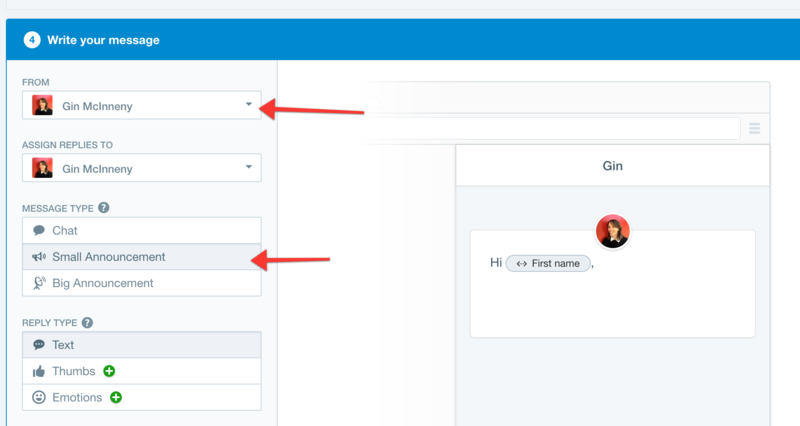 You will know this process is complete when the In-App message appears in the members website from Intercom and you have posted the message in the Facebook group and on the members wall. Tick this final step off and give yourself a pat on the back.